Here’s a caricature of Christian apologists: They are people who put on a front of using slick, pat arguments, ignoring, glossing over or oversimplifying real difficulties with their faith. Deep, deep down they know that what they say is full of holes and they doubt the truth of their religious beliefs, but they suppress and ignore those doubts. That will be true in some cases no doubt, but I really don’t think it’s true in general (and I hope you know that this is coming from somebody who has no trouble expressing frustration with the apologetics community when he thinks it’s justified). But we need to work at keeping it that way. What I’m about to do is part of that effort. Intellectual honesty means admitting our difficulties and doubts. We recognise that this is true, for example, in the case of scientific research. Suppose that somebody has a scientific theory that is well supported by the data. However, suppose there are a few data points that are real frustrations because they don’t appear to fit the pattern. We haven’t discovered why they don’t fit the pattern. The theory as a whole is too well-supported to be simply tossed aside. There must be some true explanation of why a few data points suggest otherwise, but we don’t know what that explanation is. This man is simply a liar, and none of us have any problem seeing this. What’s more, he doesn’t need to lie. The evidence overwhelmingly supports his theory, a couple of exceptions notwithstanding. In fact, he does not really make his position stronger by lying. He actually makes it more vulnerable. If anybody believes his claims in his confident presentation and then later finds out about the evidence that he was lying about, doubt will be cast on everything this scientist has said. We wouldn’t accept his defence that it is tactically dangerous for his team because it gives his “enemies” (those who support competing theories) grounds on which to attack him. That approach simply lacks intellectual integrity, and may backfire anyway as described above. We need to appreciate this principle when it comes to apologetics. So here’s a suggestion – actually, a request. I’d like to ask other people who are involved in apologetics in any capacity to tell us what causes their most serious doubt about God. I realise that this doubt does not win the day and there are, on the whole, good reasons to believe. But we have to be honest about the presence of those doubts and what causes them. While you might worry that admitting your doubts gives away too much information, any intellectually honest atheist who has spent much time thinking about the God question will have at least as much doubt about their view that God isn’t there. So, without further ado, let’s step into the public confessional. I’ll go first, and I invite you to go next. The invitation is also there for brave non-believers to admit their biggest reasons for doubting atheism, too – although this thread is not meant for people to get into protracted debates. Neither do I want people to follow up their admission of doubt with a “but here is why the doubt fails and really I am right…” Just confess. That is the point here. Right. My turn. The biggest cause of doubt for me is God’s frequent apparent indifference to prayer. The biggest cause of doubt for me has nothing to do with the existence or extent of suffering, the lack of confirmation of the life of Christ (my reply: “What lack?”) or the problem of “divine hiddenness.” The biggest cause of doubt for me is God’s frequent apparent indifference to prayer. It’s not that I think God is silent or hidden. I think God is at work all around us, and I even daresay that I have experienced what I consider to be divine guidance. But I generally don’t think of these things as God’s answer to prayer (in fact as a rule they tend to come from out of the blue with no prompting from us at all). It’s not that I’m so sceptical that I think God never answers prayers. I think testimony from trustworthy people justifies belief, and I’ve heard many, many testimonies of events that people interpreted, and I think correctly, as an answer to prayer. But easily the norm, in my experience and that of pretty much everyone I know, as far as I can tell anyway, whether they would acknowledge it or not, is that the outcome of events when we pray for a specific outcome appears to be pretty much the same outcome that I would have expected if nobody had prayed. Nearly always, when a woman you know is terminally ill and people pray for her, she dies. When a man needs a new job and people pray for him, he generally doesn’t get one until such a time as you’d expect a person to get one anyway based on the law of averages. If a child goes missing and people prayer for safe return, the child either shows up dead, tragically, or else the rate of return is pretty much the same as the rate of return for missing children generally. In any given case is there a possible explanation for why God would make himself appear to be indifferent to the prayers of his people? Of course. But if I knew nothing about the actual world and was asked to describe what the world would be like if God is the kind of thing the Christian faith portrays him to be, this indifference would not be something I would describe. I pray for a few reasons: Jesus asks us to do it. God is certainly worthy of our adoration. Often we aren’t really asking for God to give us anything anyway. Sometimes the act of prayer itself provides what it promises (e.g. closeness with God). When hope seems lost, there is no better person to turn to. So I’m not giving up prayer. But of all the things that might give me reasons to doubt, this is the one that I find most compelling. Now it’s your turn. I know I have believers and non-believers alike reading this, and I’d love to hear from you both! PS: Please only comment if you are actually sharing an example or examples of what actually provides you with grounds for doubt about what you believe, whether you’re a Christian, an atheist, or a proponent of another religion. Science Says: We're heading for a revival! Posted on October 16, 2014 June 13, 2018 by GlennPosted in apologeticsTagged doubt, faith. Previous Previous post: A centre right government? Where?! For me, lots of things. Like are we really thinking that there was a flood and a boat with lots of animals on it? Or if God is really there, why is he so easy to ignore? -> It’s almost as if he ISN’T there. On the other hand, I have doubts about the idea that God doesn’t exist, or that all that exists is material objects or something like that. It’s hard sometimes to be a Christian, because of these infernal doubts. Other things, like if evolution is true, but somehow it was guided by God or he had some hand in it somehow, it does seem a rather harsh way to bring about complex life, what was He doing making all those other life forms? I’ve been shocked to learn that the Bible actually isn’t God’s word, as it’s often called. It’s just a collection of writings of people we ought to trust. Which is actually okay, but the first time you realise this, it’s troubling for a little while, sometimes Christians grow up very sheltered and uncritical. gotta go. God and his goodness are certainties but everything downstream is less certain. The absurdity of the gospel is most challenging. I guess I am lacking something there. For me the wake up call was to realise how much Bible has changed over the years, how it contradict what we know from science and how much it resembles the other earlier religions. 1) I used to be adjusting to evolution but now I’m fine with a metaphorical Genesis. Even so “The Fall” doesn’t seem to make much sense given that the world has been “fallen” before humans. Perhaps not insurmountable but many responses seem ad hoc. 2) The fact that many people will never have heard of Christianity but seem to be judged by it bothers me. It make Christianity seem implausible and parochial. 4) When you dig into things more issues appear providing more opportunity for the appearance of implausibility, i.e. diving foreknowledge, incarnation models, free will, moral responsibility. 5) An apparent lack of miracles in modern times but apparently numerous in the Bible. I’m sure there are more but that will do. The one I am working through at the moment regards the scale of the universe… and God decided to visit us? Glenn, what you say about prayer is pretty much what I struggle with, especially when I’ve made certain prayers for several years and nothing has happened. It’s diminished my willingness to pray this last month. – There is very little, perhaps nothing, that has happened in my life that can’t be naturalistically explained. – If evolution is true (and there is certainly epistemic pressure on me to think so), naturalism seems like a better fit for it. – Background studies into the OT & NT seem to reveal that implausible ancient ideas are infused into or presupposed behind Biblical claims, raising concerns about undercutting defeaters or other general epistemic worries. Thanks for the responses so far folks! Some of these things will just stay as doubts – which is just how it goes sometimes. Others will, I hope, be stepping stones to further understanding (e.g. of a better understanding of what Scripture is). One request I would make is that further replies also include some indication of whether you’re a Christian, an atheist, agnostic, or something else (i.e. another religion). So far all commenters, as far as I know, are Christians. I should also add: I know a lot of people are reading this, and I know a fair number of my readers are non-believers. I’d really like to hear from some atheists about the things that give them the most doubt about what they believe about God’s non-existence. Probably the biggest doubt I have is what makes us as humans have the right to say the current bible we have is God’s word and what does it actually mean to be God’s word. It is hard dealing with that because we deal with people who make statements such as “if you are not in the Word everyday you will not grow spiritually.” I then go thinking how am I going to spiritually grow reading a genealogy in Chronicles or something. It then becomes the question of how did these prophets know that is what God told them to tell to his people in numerous occasions in the books of Jeremiah and others. I echo Peirs’ comment. My first delight at navigation school was seeing how mathematically dependable the heavenly bodies are, how it spoke of sheer design, a creator. Then I look at the vastness of it all, all this spherical rock millions of light years apart, orbiting for no other purpose than me getting my sight reduction tables out and figuring where I am on one of these rock dollops. If the creator is by nature greater than his creation, then it blows me out into the realm of total incomprehension. To be truthful, it rocks me. Paradoxically I have no trouble with believing the scripture that the very hairs on my head are numbered. I’m a total believer. It’s just that the scale of the universe undoes me. One of these days I’ll be dead and will hopefully know better. Great post, Glenn! 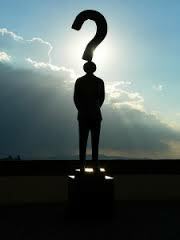 My biggest doubt has to do with this question: Why is God as difficult to believe in as he is? What I mean is: why doesn’t he offer more direct evidence of his existence—theophanies like those given to Abraham, Jacob, Moses, or Isaiah? I understand that nature bears witness to God; that there is excellent historical evidence for the resurrection, which itself confirms the truth of the gospel; that we have lots of good arguments for God’s existence, etc. I even have much personal experience that confirms my strong intuition that God is real. But believing still requires a lot of faith on our part. I trust that God knows best, but why should it be so? I’d say for me, there are two things. I am a Christian, for the record. 1) Divine hiddenness. No matter how much I pray for something more than historical testimony to add confidence to my belief, I get nothing. Maybe I’m cheating because this can be counted as the problem of prayer that you mentioned, Glenn. 2) The idea of God having to accommodate the patriarchs and Israel through usage of existing ANE culture and religion (yes, I know one may take it to be theological polemics, but I’m not so sure about that sometimes). Since God is capable of opening our eyes and minds since he actually created us, why didn’t he work history in such a way as to make those he wanted to know him mentally capable of comprehending his message without apparently suspicious appropriation of existing practices and law (e.g., circumcision, Code of Hammurabi) ? Why this confusing reference to a divine council ? I suspect these two things fit better in a deistic or atheistic worldview, though I would find myself reverting back to deism rather than atheism were I to no longer hold to Christianity. What is my most serious doubt about God? *Resolving some biblical difficulties (I am an inerrantist). *Eternal conscious torment for the damned. *Could the Calvinists be correct? Could the Open theists be correct? I note (without being specific) that many of the doubts raised above cause me no concern and the reason is that I think the questions involve faulty underlying belief. I am happy to give examples. I am a believer. My greatest hesitation is the predicament of the unevangelized. I don’t understand. Michael, can you clarify your comment. Do you believe unevangelised burn in hell forever or something? For me it was when I decided honestly to investigate (as I would investigate any other claim) the hypothesis that Christians God exists. This escalated quickly to compare this with other God claims. I noticed that most God claims are incoherent (Omni__, outside time, not understandable etc.) or changed/developed over centuries (Christian version). So I have no doubts about non-existence of any capital-G God concept, just like I don’t doubt that some incoherent scientific hypotheses are wrong. Then again if further evidence comes available then I’ll take a look at it. As a relatively young Christian, I have to agree to some degree with Peirs and Mick. The sheer scale of the universe, and our apparently insignificant location in it, make it hard at times to trust in the existence of God. Another thing I often fail to wrap my mind around is that this God who exists outside of and oversees this incomprehensibly huge universe will dwell with his Son and believers in the (physical?) new creation… for eternity. Sometimes it all just sounds too good to be true. 1. The absence of God’s presence. I always hear about people “feeling” the presence of God, but I have not. 2. Suffering of people due to natural events or “acts of God”. 3. The fate of those who lead their lives as Christ would want them to but are not professing believers. 4. Some times the “absurdity” of it all. When I think about being brought back from the dead and living eternally on a remade Earth…it seems implausible and too good to be true. I find myself thinking specific questions like: What will we all do for an eternity? Will we have hobbies or jobs? How will relationships work? Will I still be me? Etc. I honestly find in myself no doubt about God’s existence because I find that the idea of his nonexistence requires too much of what I’d expect to find—but don’t find—in an experience of life in a God-less world, so much so that it makes God’s existence immediately axiomatic. However, I do have doubts about whether doing certain things that God or scripture calls for really matters. Prayer is probably the biggest example (for similar reasons that Glenn gave), but for me the same doubt exists about there being significance for my going to church, or engaging in evangelism, etc..
God answers prayer with ‘my grace is sufficient for you’ far too much for my liking (speaking as one whose wife has an auto-immune disease cluster, and a child whose post-natal stroke left him with cerebral palsy, brittle bones, and sensory issues), the churches I’ve attended have some of the most insipid sermons imaginable, and God seems to do what He will with believers and nonbelievers, often despite our prayers and efforts. Still, I know there are sufficient answers to these doubts, and the doubts themselves are, ultimately, ill-conceived. My problem with Christian apologists is the argument they use (TAG, presup, etc.) is not what brought them to believe. Invariably it is personal revelation/feelings that made them a believer. Why can’t that be good enough? To me no religion makes sense. If God wanted us to believe in him he would interact with humanity the way he did in ancient books. The fact that he can’t is telling. I think barring a return of God/Jesus religion will surely die off. So, what’s your example, Marc? Long time reader/listener, first time poster. I hope this is not a dead thread, since most of the posts were all in October, but I felt compelled to throw in my 2 cents. Glenn, what a wonderful question to ask. I enjoy any theological discussion which involves brutal honesty. My biggest doubt right now is New Testament’s attitude toward the return of Christ. I, like most other 20-21st century young Christians, was raised dispensational premil, which I mostly abandoned in my 20’s. I’ve read (and listened to) arguments from dispensationalism (classical, ‘mid acts’ and ‘late acts’), hyper-preterism, partial preterism, amillennialism, post millennialism, historicism, historical premillennialism, and everything in between (admittedly mostly internet stuff, not published books). If I’m being honest, all positions have their strong points, but all have holes as well (some bigger than others). I’ve never read any version of eschatology that simply wraps up all old testament prophecies, all gospel/acts/epistle statements, and of course the never ending feeding frenzy that is the exegesis of the Book of Revelation, in a nice, pretty little box. All expected Him to return soon. He didn’t. And I find it increasingly difficult to believe that they were simply awaiting the destruction of the temple/persecutors, the inauguration of some invisible eschaton, or that “soon/at hand/quickly/at the door and several other imminent statements can mean 2000+ years. I’ve been a Christian for roughly 30 years (since I was 5), but in the last 2-3 years problems like this, and other struggles relating to inerrancy (or the lack thereof), seem to be pulling my faith from me. I fear my prayers are (appear?) powerless to stop it. Josh, I’m with you on the latter. But what is it, I wonder, that’s making it increasingly difficult to believe the former? Naturally, not all New Testament anticipation is about that (e.g. 1 Corinthians 15, 1 Thessalonians 4), where a future resurrection and return of Christ is anticipated. But I’m assuming your issue is with the Olivet discourse, yes? Do you find the preterist view of that passage untenable? So far, I haven’t heard from an atheist offering an insight on what gives them pause in affirming atheism (i.e. the belief that God does not exist). Thanks Glenn for an honest thoughtful and interesting post, and the discussion it has prompted. I have been guided here by a friend I am discussing with online. I am an atheist and am interested in Doubt due to my own journey away from Christianity, and a podcast I am contributing towards ‘Doubts Aloud’.